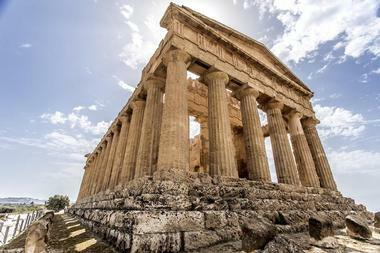 Sicily's archeological treasures are among the most spectacular in the world. Nature has been generous to Sicily, Italy and its archipelago features chains of small, beautiful islands. Sandy beaches abound, some popular and busy and others secluded and almost deserted. Sicilian food in itself is enough reason to visit. 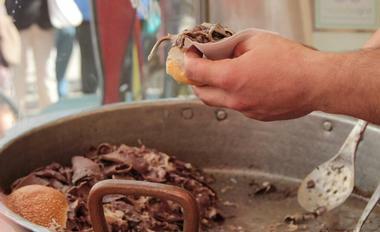 Street food can be found everywhere, in particular on the narrow, ancient streets of Palermo. Erupting almost constantly over the last few million years, Mount Etna is still one of the most active volcanoes in the world. Visiting the volcano is one of the most exciting parts of the trip to Sicily. 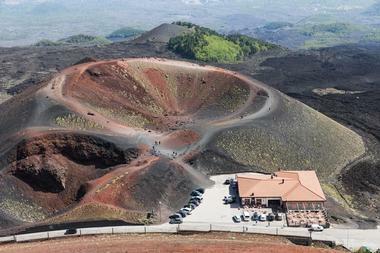 The Unknown Adventure Etna tour offers a different way to enjoy and explore the volcano and the island. At 3,350 meters, Etna is Sicily's highest mountain. Its height changes with each new eruption, as the lava accumulates and flows towards the sea. According to the ancient Greeks, Mount Etna was the home of Vulcan, the god of fire, and the one-eyed monsters known as cyclops. The first part of the trip after being picked up at your hotel is a drive in a comfortable airconditioned vehicle to the volcano's north side. You will visit the Alcantara Gorges and the spectacular waterfall resulting from an old lava eruption. The drive continues through Francavilla. You will visit a charming, typical Sicilian village, Castiglione di Sicilia, where you can walk through the ancient Greek fortress and enjoy spectacular views of the Alcantara valley. As the drive continues up the mountain, you will pass the village of Linguaglossa, before arriving at the 7,000-foot summit. The Monastery of San Nicolò l'Arena is a magnificent late baroque structure and one of the largest Benedictine monasteries in Europe. 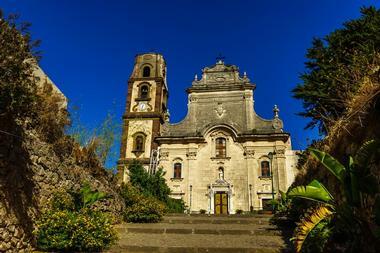 It is located about a 10-minute walk from Catania's Cathedral Square. A Cassinese congregation founded the monastery in 1558 and its construction is still ongoing. The original building was affected by an eruption of lava in 1669 and an earthquake in 1693 and has been restored according to the style of the time, creating an interesting architectonical integration of styles. 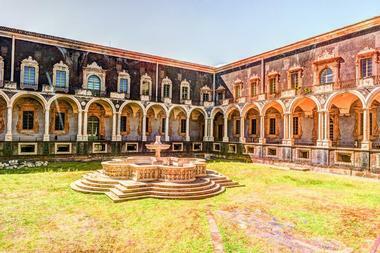 The monastery has been declared a UNESCO World Heritage Site and is today the home for the Department of Humanities of the University of Catania. Mulino ad Acqua is an old 18th-century flour mill that was once powered by the Cusaidone stream, whereby water was channeled through ditches carved into the rock. The mill, once one of many, went out of production in 1956 and has been converted to a museum. 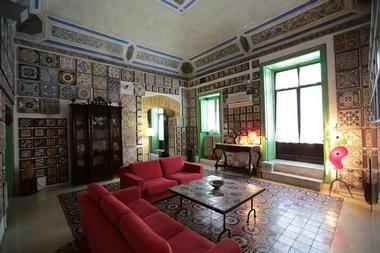 It has been lovingly preserved by the Cerrato family and serves as a reminder of the way things were done in the past. The tour of the museum takes the visitors through the caves, a corridor with tools, the weaving room, vegetable shed, wood cave, barn, miller, stable, and water storage tank and passes the waterfall. 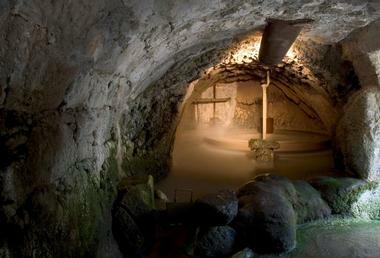 Visitors can see the actual water mill mechanism and the fall that takes water to the collection stone bin 11 meters deep. There is also a paddlewheel located in the water room, which is designed in the Arabic style with imposing vaults and the old original millstones. There is a cave next to the mill that was the miller's home, with a barn and cowshed. The Regional Archeological Museum complex is located on a huge natural rhyolitic rock at the edge of Lipari. Called the Castle of Lipari, this fascinating volcanic dome was used as a natural defense from pirates and other threats throughout the history of the town. Townspeople used it as shelter at times of danger. There are remnants of different historical periods, such as huts from the Bronze Age as well as Roman and Greek structures. The fortification walls visible here were built by Carlo V after the town was conquered by the pirate Kaireddin Barbarossa in 1544. The tower was probably Greek from the 4th century B.C. The museum consists of six pavilions with distinct sections: The Pre-historic, the Epigraphical, the Minor Islands, the Classical Section, the Vulcanological Section, documents and illustrations, and the section on Paleontology of the Quaternary. If you find yourself in beautiful Lampedusa, the southernmost island in Sicily, you may find that the magnificent island's beaches tend to get too crowded, especially during the busy season. But a short boat ride away is tiny, uninhabited Rabbit Island, just a speck in the ocean, a perfect natural oasis away from the crowds. 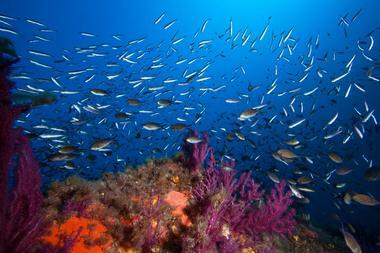 The sea is crystal clear and wonderful for snorkeling, with plenty of colorful fish to see. Bring a picnic and enjoy the solitude, during the week you might even have the island to yourself. 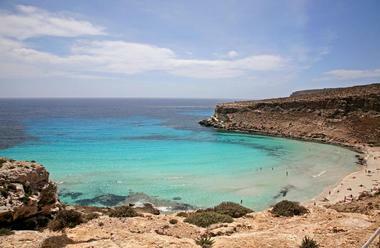 You can get easy transport from Lampedusa or you can rent a boat and stay as long as you wish. Don't expect to see any rabbits, they are long gone. The Cultural Association Stanze al Genio is located in the historic part of Palermo, in one of the oldest streets of the Kalsa district. The exhibition rooms of Stanze al Genio have one of the most extensive collections of ancient ceramic tiles in the world. There are more than 2,300 pieces, some dating from the 14th and 15th centuries, covering the walls and creating magical mosaics. The artistry, colors, and patterns show how fashions in tile design have changed throughout the centuries. Their quality is also incredible, as can be seen by the fact that they have survived for so long. It is one of art branches that is not usually so well respected, but once you see the beauty of each tiny piece of art, you realize how much talent went into each of them. Stanze al Genio was founded in 2008 to enhance, protect, and make accessible to the public cultural and historical heritage as depicted in ancient pottery as well as in other various objects. A unique way of learning about Sicily and Palermo is through its food. A food tour with chefs Patricia or Giuliana starts at the famous local Capo Market, where you will learn how to select the freshest seasonal produce. Then you will visit a fishmonger to choose a catch of the day. As you walk through the city collecting ingredients for a traditional meal that you will learn to cook, you will be passing through the city's historic district, where you can admire its fascinating architecture and monuments. Once you get to the chef's charming, elegant home, you will be taught how to cook traditional Sicilian recipes passed from generation to generation, such as pasta al forno, arancine, sarde a beccafico, and many others. When everything is prepared, you will sit down at the table to enjoy the products of your labor with some good Sicilian wine. Of all tours of Sicily, the one with Dr. Anita Bestler offers the most in-depth view of the island's history, culture, and society. 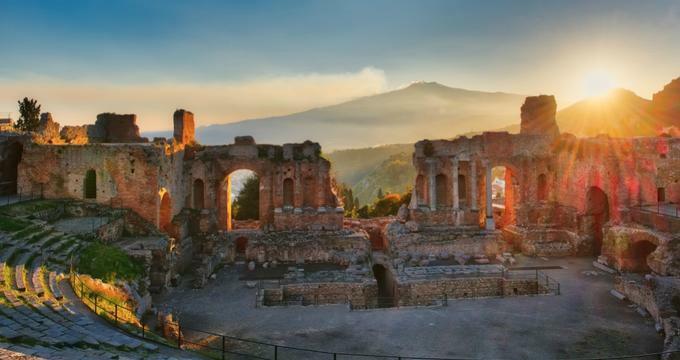 Lecturer, writer, and licensed tour guide, Dr. Bestler highlights Sicily's fascinating mix of cultures, with Greeks, Romans, Arabs, Spaniards, and Normans all leaving their traces and monuments, creating the cultural blend we know today as Sicilians. There are several tours with Dr. Bestler to choose from, in group or privately, but the most popular is the Open City Tour of Palermo. The 2-hour tour starts at the Norman Royal Palace and Palatine Chapel built by King Roger II, with its magnificent Byzantine mosaics and an Arabic Muqarna ceiling. Continue by strolling along the Bonanno Park, a lovely oasis with palm trees, and pass by the 12th-century cathedral. Continue to the picturesque narrow streets of the district of Albergheria and the old Ballarò Market, bursting with fresh produce and the fish of the day. You will also see the former Jewish quarter, Piazza Bellini, the Norman church of La Martorana, medieval San Cataldo, and so much more. StrEat Palermo Tour is designed to offer tourists the opportunity to enjoy a pure Sicilian experience – through Sicilian food. Local tour guides and foodies Marco, Naida, Alessandra, Francesca, and Noemi will take you on a journey of discovery of the secrets of Palermo street food, a fascinating mix of Italian, Spanish, Arab, and Jewish culinary history and heritage, stories, legends, and myths still alive in the 2,000-year-old city. You will be walking through the ancient streets of Palermo, its markets and old squares and inns, and taste the diverse, intriguing, and delicious Palermo street food. You will also taste some of Sicilian sweet wines. 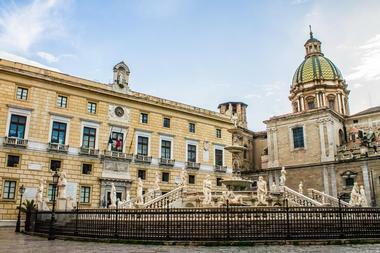 As you are walking and eating, you will also pass by the main Palermo historical squares and many hidden spots that tourists do not get to see. The tour lasts four hours. The Valle dei Templi, or Valley of Temples, is an outstanding archaeological site in Agrigento, Sicily, and one of the most spectacular examples of the art and architecture of Greater Greece. The area is recognized as a UNESCO World Heritage Site and the landscape and archaeological park of the Valley of the Temples, spread over 1,300 hectares, is the world's largest archaeological site. One of the most beautiful and best-preserved temples is the Temple of Concordia, which has survived almost completely intact since it was built in 430 BC. In the 6th century it was converted into a Christian church and its main structure was reinforced to survive the frequent earthquakes in the area. The temple was reverted to its original, present, form in 1748. When you combine Sicilian archaeologists, food and wine experts, and art historians, and let them guide you through Sicily, you can be sure that you will be getting a very special treat as well as a unique view of island life, history, and culture. With the combination of their knowledge, passion, and experience, these are unique tour guides who will share their love for their island and will not only teach you the facts but also help you feel the island's vibe and pulse. They offer three main tours: Val di Mazara, Val Demone, and Val di Noto. 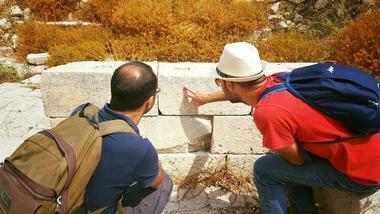 The tours are always small and you can book a private tour that can be designed according to your interests. Valley of the Temples is the world's largest archaeological site spread over more than 1,300 hectares. 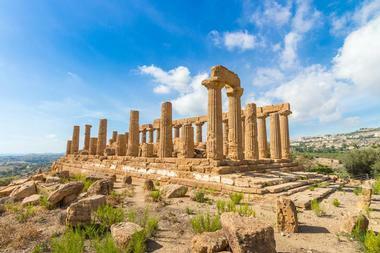 Located in Agrigento in Sicily, it is considered one of the most significant examples of architecture and art of Greater Greece. It is also Italian National Monument and a UNESCO World Heritage Site. The valley has the more or less preserved remains of seven Doric temples. The most important and almost intact is the Temple of Concordia, built in the 5th century BC, converted to a basilica in the 6th century AD, and later restored to the original state, the way it is today. The 5th-century Temple of Juno was burnt by the Carthaginians in 406 BC. The Temple of Heracles was destroyed by an earthquake, while the Temple of Olympian Zeus, with huge stone atlases, was built in 480 B.C. to celebrate the victory over Carthage. There are also the Temple of Castor and Pollux, Temple of Vulcan, Temple of Asclepius, and the Tomb of Theron, a large pyramidal monument believed to be built in memory of the Romans who were lost in the Second Punic War. 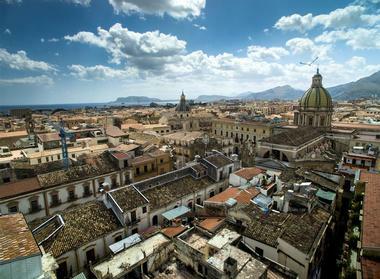 There are many ways to explore Palermo. Most tourists follow the maps and see the major attractions, but you can also hire Alternative Tours Palermo and one of their experienced guides will show you a different Palermo, the way locals see and experience it. They offer walking tours of the street art scene, hiking trips to the mountains, and a trip to the sacred sanctuaries, some of them well known and others secret. You will visit the sanctuary of the patroness of the city, Santa Rosalia. as well as the home of Isravele, a self-taught artist who spent years in hiding, secretly completing his sanctuary overlooking the sea. The prices are up to you, pay what you want or think the tour deserves, so the tours are affordable to everyone. 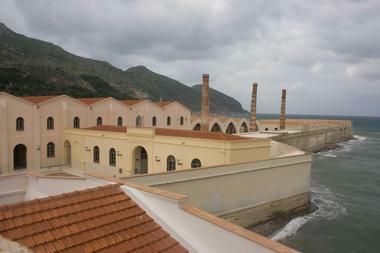 The former factory Florio is the place to learn the history of tuna processing on the island, of the well-respected Florio family, and of the important role that tuna processing played in the lives of the islanders. The factory covers 32,000 square meters and is a true architectural masterpiece, with large arches and the cathedral-like ceilings, creating a sense that something almost sacred was being made there. After the factory stopped production, the restored building was converted into a museum that opened its doors in 2009. The museum exhibits, from different historic periods, include an archaeological museum with artifacts found near Egadi Island, such as amphorae, pilgrim flasks, a headless statue, a Roman-era rostrum, and much more. There is a small section that is dedicated to the Florio family, with two holographic multimedia installations. The diving center Mister Jump is located in the heart of the small Sicilian town of Ustica, at the end of a steep staircase that leads from the port to the main street. The center's interior is known as "the cave." Carved out of rough lava stone, it is a unique and fascinating place where you can not only get your diving equipment but also meet other divers, watch diving videos, take diving courses, or just hang out. The center has two inflatable dive boats, which take divers out to the dive sites every day. The groups on each boat are divided by their experience and skills. All dive trips start at the quay, where divers can have their equipment readied for them. The center also organizes snorkeling trips and sea baptisms. All Mister Jump staff are experienced certified divers, instructors, and guides whose passion is to share with you the beauty of underwater Ustica. Palermo photographer and licensed tour guide Domenico Aronica offers the original Walking Tour of Palermo, showing the visitors the city's real heart, its most important monuments, palaces, hidden gems, UNESCO World Heritage Sites, narrow alleys, ancient open air markets, and the delicious local street food for which Palermo is so famous. 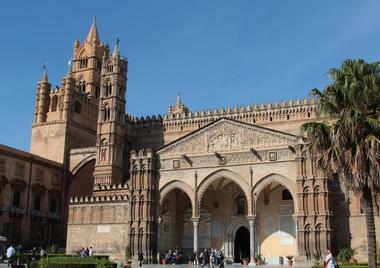 His in-depth knowledge of the history, art, and culture of Palermo make his tours popular, informative, and fun. Domenico's Group Walking Tours last 3.5 hours and cover about 5 kilometers. The tour price includes all the snacks and local delights tourists will sample along the way. His photographs of Palermo and Italy, which he has exhibited all over Italy and abroad, make very nice souvenirs, so be sure to ask him to show you some.